With all the apps and social media platforms that have enhanced our digital lives in recent years, email remains arguably our most used and useful online tool. Its ubiquity and frequency of use makes it among our greatest online vulnerabilities. Hackers and identity thieves continue to target email users with phishing schemes and large-scale attacks on email service providers. Fortify yourself with these important email security precautions. The best thinking on password strength has recently evolved. Passwords that contain a prescribed number of capital letters, numbers, and symbols, it turns out, are easier for hackers to crack than longer phrases. And longer phrases are easier to remember! It’s time to think not in terms of passwords, rather passphrases. Passphrases can be upwards of 120 characters, including spaces and punctuation. They are supported by all major computer operating systems and are so long as to be essentially untouchable for even the most sophisticated password cracking tools. Passphrases are easier to remember than a string of random characters, but it’s still important to avoid duplicating passphrases across multiple logins. Different passphrases are needed to use the internet securely. That’s where password management software comes in. Services like LastPass, Dashlane, and 1Password help you store, organize, and access all your various passwords when you need them. Try not to be on autopilot when perusing your inbox. Open every email with intention and a healthy dose of skepticism. Are you sure you know the sender? Does the body of the email make sense? Are you being asked for money or personal information or to change a password? Phishing artists are adept at making emails appear to be from friends or trusted services like Paypal or Dropbox. They write professional looking emails that describe a problem and create urgency to log in and correct it. Victims follow a link in the email to a fake landing page and enter log-in information, handing their online identity to hackers. Links and attachments in emails warrant extra caution. Be sure you trust the sender and recognize the file type (in the case of attachments) and the URL (in the case of links) before clicking on either. Google’s Gmail and Microsoft’s Outlook have earned the trust of millions of users by staying at the forefront of email security. Yahoo’s issues have been well documented, and smaller, regional services warrant extra scrutiny. If you use a smaller service, learn their track record and think twice about your level of trust. It may seem daunting, but ditching an old email account and setting up a new one is completely do-able. With most service providers, you can retain all of your contacts and old emails by exporting them from your old provider, or importing them into your new account. If this sounds too technical to tackle, use a service to take care of it for you. With your new account live, you can now set up your old account to forward all incoming emails to your new account. It’s also wise to create an auto-reply that tells senders of the new address. After you’ve emailed your contacts to alert them of the new address and updated any online accounts that use the old address, you can safely delete the old account. 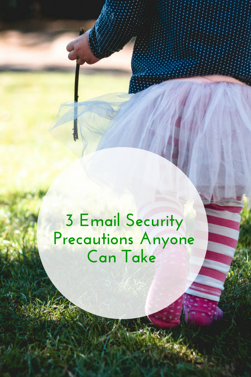 Use these guidelines to give yourself peace of mind and continued safe emailing.